Younique offers natural mineral based cosmetics with their #1 best seller, 3D Lash Masara. Younique is the first direct sales company to market and sell almost exclusively through the use of social media. 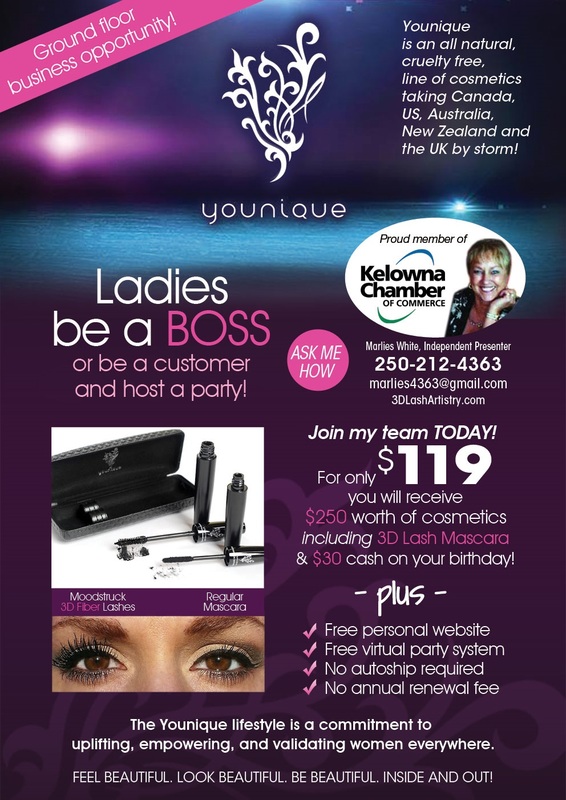 Our pioneered Younique Virtual Parties bridge the huge world of social media and the traditional home party business model. A Younique Virtual Party has no limits to your reach or who you can invite. This makes it so the traditional home party is not even necessary unless you choose to do it. We provide the innovative and interactive tools and invite you to tap into your own resources and connections that you already have.